The trees are all-absorbing, whether good or bane, and do not judge what is to be left behind or discarded from what is to be retained and preserved. The trees stand for lengths of time, comparable, but often longer and more robust than those stood by man. Just as the tree’s rings can be read to discern the history of the environment and the weather patterns, so, too, can the tree’s energy be read to discern the history of human development in their life spans and even before, as they are informed by the ancient dirt from which they grow. Ask a tree on a battlefield for the truth of the battle, ask a tree on a Lovers Lane the truth of romances past. The trees are impartial, but feeling, taking their very bark and internal fluid of life from the air, ground, rain and energy of the living environment around them. Many annals of human life are recorded within the sentient and sacred trees. So it is that the scrolls of the Akashic can often be more easily touched in this world and on this plane by the simple knowing of a tree, ancient and wise. Place oneself at the foot of an ancient tree, whether physically or mentally. Begin with slow, deep breaths. Do not focus on the world outside, but, instead, close one’s eyes and follow the path of the breath as it rushes into the mouth, flows down the throat and fills the lungs. Follow its swirl there and its easy and cleansing path back out from within. Do this several times until you feel yourself calmed and focused. Lean back against the literal or metaphorical tree which you have chosen. 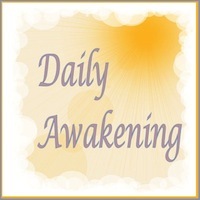 Tune in and feel its energy mingle with yours, acceptingly and peacefully, without expectation. Imagine yourself to have roots, growing from your bottom and reaching into the rich, fertile ground of Mother Earth. Feel, at the same time, ethereal roots of sparkling energy extended from the top of your head and connectimg you with the bright, spiritual ground of the cosmos above you. Breath deep and let the energy from each flow through you to meet one another at your core. Use this conduit to pull energy from above and pass it through to the roots below. Do the same again, pulling energy from the roots below and passing it through to the etehreal roots above. Say aloud: As above, so below. Feel yourself to be one with the tree, you within it and it within you. Say words of welcome and words of greeting to the tree. Give it honor for its beauty and strength. Now, having reached a balance with this living tree creature, you are free to ask it questions. Trees are more apt to answer questions about the self, the wise path, about energy work and about the human past, specifically the human connection to the divine. When you have finished your tree work, thank your sibling tree for its wisdoms and energy. Ask it if you may come to it again another time. Give it honor and say your farewells. Breath deep and balance in your center. As you are breathing in, see your roots being drawn back down from above and carrying their energy back into your self. Do the same for the roots below. When you are whole and contained again, balance your inner self and then stand. 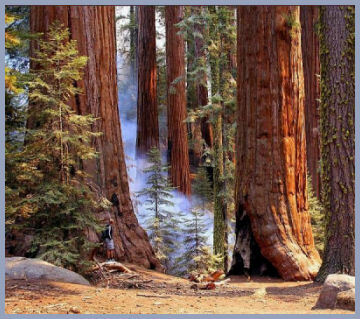 For a little bit of inspiration and some great visuals of ancient trees, try either of the following fantastic books:Remarkable Trees of the World or Tree: A New Vision of the American Forest . I keep a peice of petrified wood in my pocket to help me stay grounded and at peace amidst this journey. Amazing picture! Intention set for ascention!! Blessings. Wish me good luck.